A new CD from George Crumb is out, featuring his Spanish and American songs. 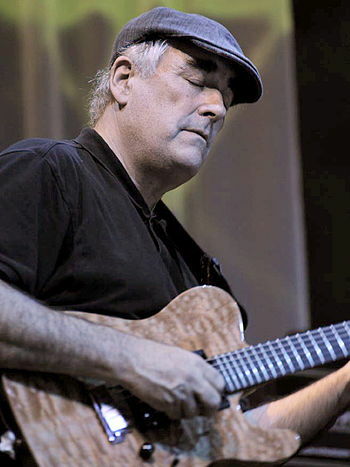 Fred Frith and the Gravity Band, and their recent Moers performances, are the focus on a few videos. Terence Hannum’s Via Negativa release is out on Utech Records. 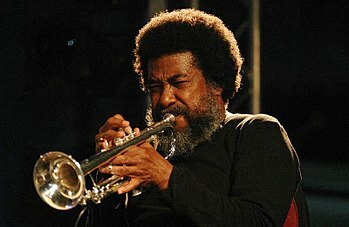 A video of Gerry Hemingway interviewing Anthony Braxton is available. I. PRODUCE NEW MUSIC FROM OU! Italian sextet OU plays vivacious soundtrack chamber funk world soul music! OU is ‘egg’ in Sardu (Sardinian). It is pronounced at the bottom of one’s voice with a long ‘O’ and a little upturn of ‘u’ at the end. Composer Ersilia Prosperi is a genius. She creates amazing music for OU and plays trumpet, flugel horn, ukelele and sings in the sextet. Based in Rome, Italy, the three women are Sardinian, the three men pure Romans. Bass drums and piano form the lively rhythm section ~ then trumpet, sax, ukelele, glockenspiel and 6 glorious voices weave themselves over the contagious rhythms. II. AMY DENIO / EMILY HAY COLLABORATIVE DUO PROJECT! I’ve had the pleasure of playing a variety of concerts in the company of extraordinary flautist and vocalist Emily Hay (U Totem, Motor Totemist Guild, Polarity Taskmaskers). People are clamoring for an official recording, so we’ll do it! We plan to spend a week at LITHO STUDIOS to produce a new collaborative multi-instrumental recording! We will be improvising, composing, and playing a few games too, to create a rich palette of sound.